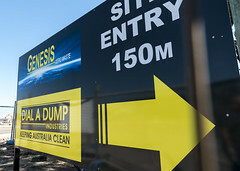 Greens MP and mining spokesperson, Jeremy Buckingham says an organic upswell of community concern over the rapid expansion of mining is the most stringing impression on the first half of his tour of mining affected communities. The tour has so far taken in the western coal fields of Capertee Valley, Running Stream, Rylstone and Mudgee. Coal mines at Ulan, Moolarben and Wilpinjong. The rapidly disappearing town of Wollar. Jeremy has met with residents in Bylong and Bunnan and spoke to hundreds of concerned landowners at the hall in Baerami, Upper Hunter. A flight over mines in the Hunter was followed by meeting the community concerned about coal seam gas in Camden Haven and Taree. 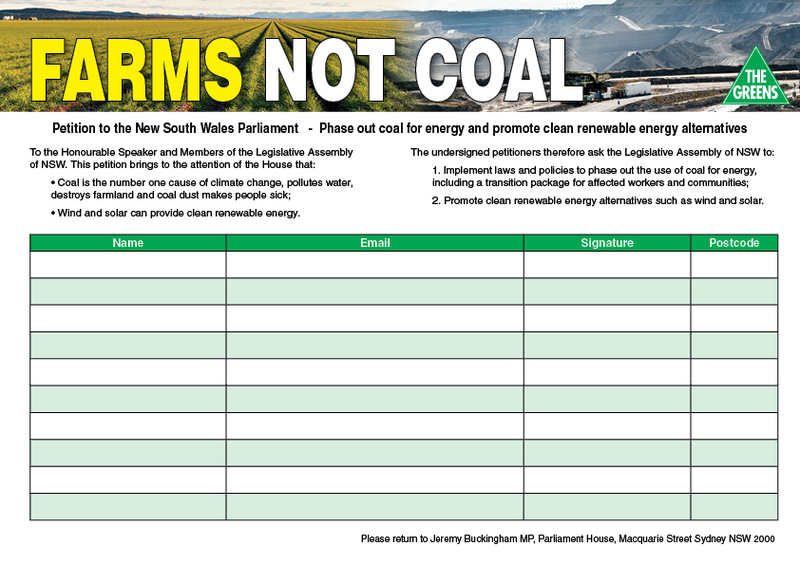 “Everywhere I go people are extremely concerned about the rapid expansion of coal and gas and want the government to step in to protect their land and communities,” said Greens MP Jeremy Buckingham. 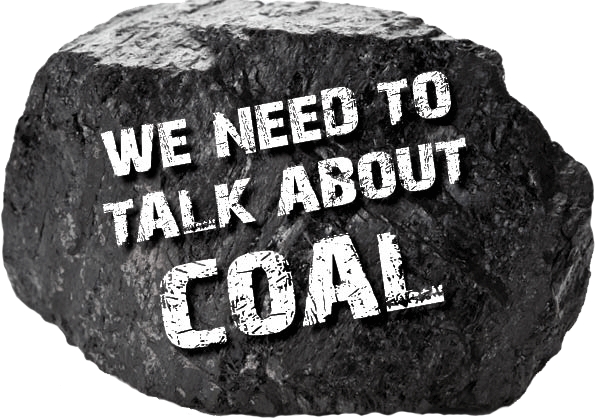 “There is a growing concern that the expansion of mining will not benefit local communities, but in fact wreck them. “Towns and villages that have been destroyed and swallowed by the mines such as Ulan and Wollar stand as a warning for communities facing mines and gas, such as the Bylong Valley. 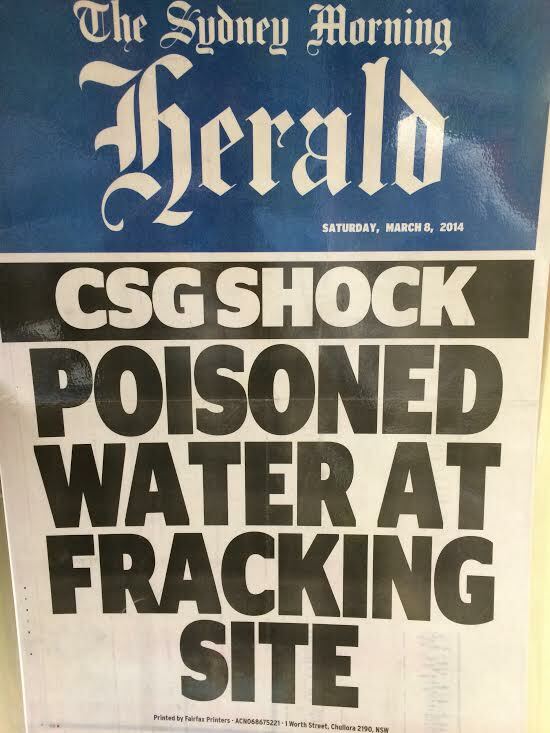 “It is clear that coal seam gas does not have a social licence to operate. 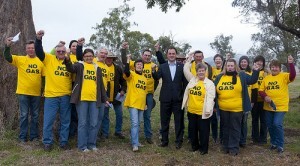 Everywhere I go there is a local community group that has formed to try to stop the gas company. 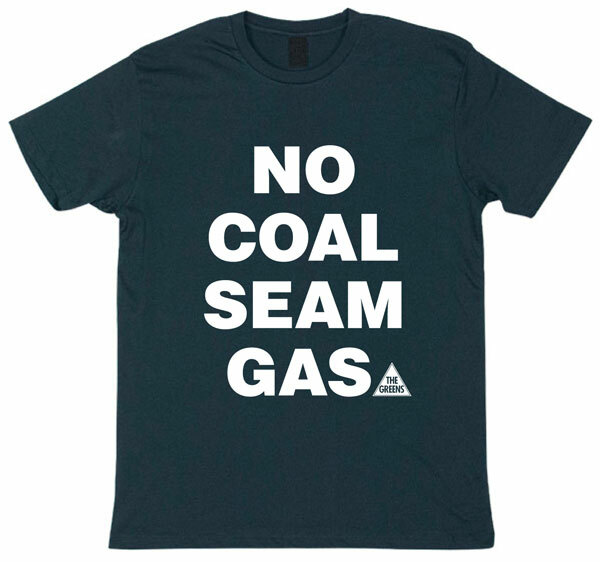 “When a Greens MP rolls into a village like Bunnan and is met by half the town wearing ‘No Gas’ t-shirts, you know something big is going on. 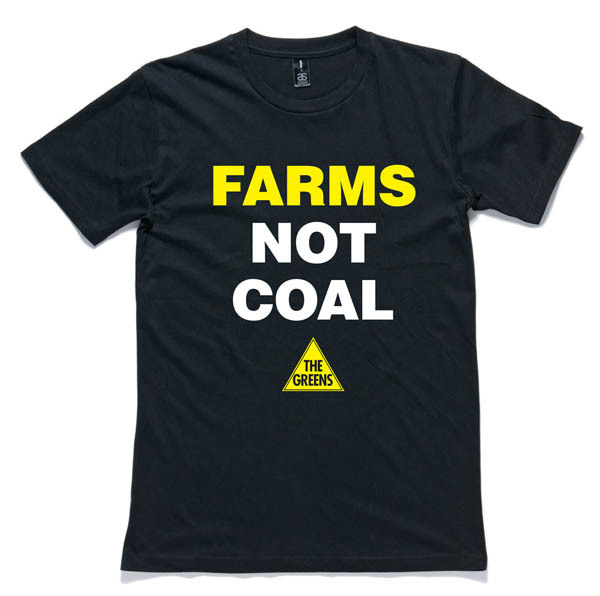 “Country NSW is in revolt against the expansion of coal and gas. They want a future for their community that revolves around agriculture, a healthy environment and a balanced local economy,” he said. 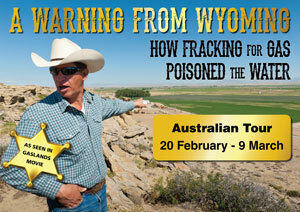 Jeremy will be touring Gloucester, Stroud, Gunnedah, Bellata, and the Pilliga in the next few days.